Greetings Faithful Young Living Friends! What does it mean to be Team Young Living? I will start with a story you probably already know. It is the story of Nike and the Air Jordan high-top basketball shoe. Air Jordan is still the top selling shoe in the world and Michael Jordan still makes $60mil a year on commissions even though he hasn’t played basketball since 1993. 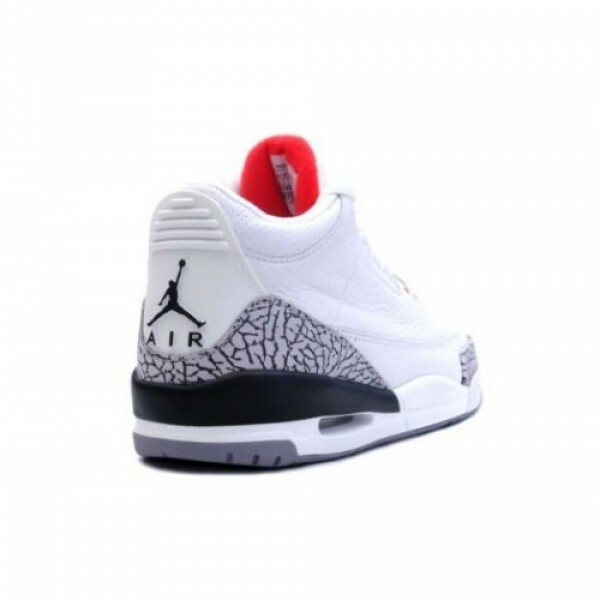 Did Jordan design the shoe or know anything about shoes? No. The point is Nike and Jordan became an unstoppable team because they cooperated on the deal of a lifetime. What would have happened if the designer of the shoe, whatever his name is, I didn’t even bother to write it down, what if he decided to name the shoe after himself instead of Michael Jordan? After all, he did all the work, why shouldn’t he get the credit? What is my point? Katy and I have made a lot of mistakes in building our Young Living business, but we keep learning from our mistakes and passing down our knowledge so you don’t have to make the same mistakes. One thing we did right two years ago is a concept we called ‘mining for diamonds’. We asked you to follow us as we follow Adam Green! We teamed with Adam Green, even though he is not in our direct up-line, but we teamed with him because we really liked his story. More recently we have also teamed with Sarah Harnisch. We are asking you to follow us as we follow Adam Green & Sarah Harnisch, and we are experiencing a new wave of success. 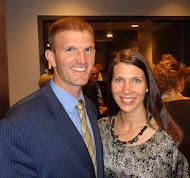 Sarah Harnisch started with Young Living at the same time we did – 3 years ago. She also followed Adam Green, BTW. So why has she been more successful than we have? I don’t think it was good luck. I don’t really believe you get lucky in network marketing. I think it was because she sought out more training and read more books than I have over the past 3 years. She flies down to Texas 4-6 times a year with members of her team to get training from Dani Johnson who owns not just one million dollar company, but FIVE. Sarah Harnisch goes to Convention and harvest events and she has read over 200 books in the past 3 years. Katy flew to Arizona with Jenny to get trained by Marcella Vonn Harding – the top distributor in Young Living, last year, and that training was invaluable. We have gone to Convention the last two years with Ben-David and last year with the Patels, which was a lot of fun! We did a farm tour – that was amazing! And I have read about 20 books over the past 3 years, but Sarah did better because she did more training and her training drove her work, just as our training has driven our work. I am not saying Katy and I haven’t been successful – we have been very successful, and I will talk about that in a minute, but let’s get back to the idea of TEAM Young Living. I didn’t get the Team Young Living concept right away, but now I get it. If you follow success and identify with success, you will be successful yourself. Now let me translate that to our own group – this leader group. I have decided to change the name to HML Team. In network marketing, everyone is the CEO of their own company. Everyone succeeds or fails based on their commitment and output. That is why we initially called this group a 'leader group' not a 'team'. Dani Johnson has changed my mind about that mentality, and let me tell you why. I read Dani Johnson’s article the other day and it really hit me. Dani says being a leader is better than being an employee, but being on a team is even more attractive! Why?! Because people like being a part of a team. On a team we learn from each other and we benefit from each other’s success! We all have our unique gifts and perspectives that contribute to this group. We have a doctor, a lawyer, an accountant, a retired school principle, teachers, mothers, etc. If it wasn’t for our Monday night calls, we would not have the individual success we have seen. But I am afraid that some of the individual success has, at times, eclipsed some of the ‘behind the scene’ successes. I want to recognize that ALL of you have made a valuable contribution to the success of this team. As we go into the future, I want to encourage you to invite your members to join our team, both Team Young Living and the HML Team. What is the benefit of joining the HML Team? You may not realize it, but the HML Team is a very successful team, already. We are beating the odds. That is good for everybody on this team because when you are part of a successful team in network marketing, you attract more leaders. “Yes,” I answered truthfully, “But let me tell you what you can’t see: Our wealth is not in our rank or our current commission check. Our wealth is in our growing team of leaders. We have about 10 leaders who are actively building right now and another 10 ready to re-engage in the near future. The compound effect of network marketing is working. The compound effect of doubling a penny every day for 30 days is over 5 million dollars. But after 15 days it is only $163.84. We are compounding pennies in 10 different legs right now and some of those legs we started a year or two ago but they are just now getting started. It doesn’t matter. The compound factor is still at work. We started building this business in October 2014 – less than 2.5 years ago. January and July are typically low sales months in Young Living, but in January 2015 our OGV was just under 2000 after 3 months. One year later, January 2016 our OGV was just under 9000, and last month, January 2017, we hit over 19,000 OGV for the third month in a row. AND when I say WE I mean YOU – OUR TEAM sold over $19,000 in product. Katy didn’t sell $19,000 of product – you did – she just sold maybe $1000 of that or less last month. If we double it again by next January, as I am sure we will, if not more, that would $40,000 in one month of product sales. How would you like to make $5000 in commissions for one month of part-time work. Yes? Well guess what? YOU JUST DID. That is how much money our TEAM – YOU made last month – January - a typically down month. $5000. Our personal check for last month will be about $1000. That makes us very happy. Do you know why? Because it means the other $4000 in commissions was paid out to YOU for all YOUR hard work too. This team isn’t about Katy and I. It is about us – all of us together. We made $5000 last month – together – our little budding team. That is exciting! It is exciting because we are actually making some real money, and it is also exciting because the success of our group is going to attract more people. Tell people what I just told you! Success is contagious, help your friends find financial relief by inviting them to join our group. Now if your personal check was less than $500 this month, and you would like to double it, for your sake and for the sake of the group, this is what I want you to do. You simply need to do more introductory classes and more follow-up. I ask you to commit to scheduling 4 classes a month and 4 hours of follow-up – a month. Help 2 people sign up 2 more and so on. Text or call me if you have questions about that. For those of you who made over $500 this past month. I invite you to invite several of your members to join our successful group. Use our WhyWeShare.com video or the 3rd party tool of your choice to spark conversation and then just explain what you love about Young Living and doing the business. There is no magic script for attracting people to the business. If people see you are confident, genuinely happy, and our making some money, you will attract leaders. Tell them how much Sarah Harnisch is making after 3 years in the business (she is almost Diamond so she is probably making about $20-25k a month) and invite your enthusiastic oil using members to join our Team as we follow Adam Green & Sarah Harnisch. Most people will be more interested in joining a fun team than they will be excited about the idea of becoming their own CEO. For those of you who have the goal of Silver, which is most of you, you don’t really need to be a strong leader and build your own team – just bring people into the HML team. We can help you train your leaders. The HML Team is the only team you need to be a part of in order to reach your goal of Silver. For those of you who are Diamond bound, once you get to Silver you may need to branch out and create your own team culture, but then again, maybe not. This business is all about being duplicable and following a system. We have a system that works, we just need to follow it. The reality is that we are not doing anything different from those at the top in Team Young Living and that is what we need to keep reminding ourselves. We are following a proven system – we can’t fail! Remember 95% of people who consistently build their network marketing business for 10 years make it to the top of their organization! For us, that is Royal Crown Diamond. RCD’s make about a million dollars a year! It is simply a matter of following a proven system consistently for 4 years or more. But the reality is, if your goal is Silver, you can get to Silver in less than a year if you follow the system. How many of you would be willing to teach 4 classes a month and do good follow up for 6-12 months in order to start earning a residual income of $2-3k a month for the rest of your life?! If that is your goal. Talk to me this week about structuring. I can help you tailor a plan. And just so the rest of the team knows, there are three of us at Executive that are looking to hit Silver by this summer, or even this Spring. Katy and I should be at Gold by next January! That is our goal and you are helping us achieve that – thank you! I realize it will be a huge boost for our team to have 3 Silvers. Thank you for your patience with us. If we knew now what we know about structuring, we would already be at Silver and more than half way to Gold, but that is all part of the learning experience in network marketing – NM is an education in residual wealth building. There are rules that apply to the game that need to be learned and followed in order to achieve success. Please call or text anytime if you have any questions for Katy or I. We are here to help you succeed, but we don’t know what you don’t know, so you may have to ask questions. There is no such thing as a stupid question. Let us help you interpret Sarah Harnisch and Adam Greens System. Let us help you tailor a game plan for your success. You can’t get to Silver alone, but you can get there if you are willing to be coached. People pay a lot of money for coaching. Coaching is the new grad-school in this economy. We are available to coach you to Executive rank for FREE! All you have to do is pick up the phone day or night and call, or set up an appointment with Katy or I. Do not worry about bothering us. We have taken on this leadership responsibility because we love investing in your future. It makes us very happy. Our Goal is to help as many people get to Silver or Gold as want to. We highly recommend an hour a week, or at least an hour a month with Katy or I until you get to Executive rank. Just as a refresher, Executives make on average $750 a month, Silvers make on average $2000 a month. Golds make on average $6000 a month. Our team collectively earned a Gold level commission check last month – again, congratulations on your decision to join Team Young Living. I really look forward to seeing all of us grow in knowledge and abundance this year! And by the way, let us know if you are interested in taking a trip to one of Dani Johnson’s weekend training events. They are not expensive and we would love to go down with a group! If you are struggling with confidence or any sort of emotional baggage, negativity, or pessimism, you should really consider it. Dani is a Christian lady with a lot of practical wisdom. I can’t wait to learn more from her.